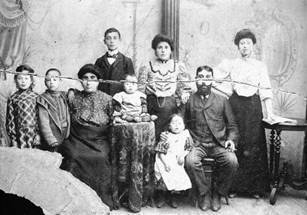 Whether you are new to Jewish genealogy or have researched many hours, Jewish Genealogy Search can be of service. We create successful strategies to research your family history, carry out hands-on research, and help you overcome obstacles you may have encountered. We coach by phone or internet to enhance your access to valuable resources, records and family history. "Jewish Genealogy Search" is directed by Michael Goldstein, a member of The Association of Professional Genealogists with extensive experience in Jewish genealogical research. Though we specialize in Jewish genealogy, our broad knowledge and hands-on experience in government, public and municipal archives in Israel, the USA, Canada and the UK has contributed to our success in carrying out general genealogy assignments throughout the world. Genealogy is more than names and dates. Knowing where your ancestors lived, what they did, how long they lived and how they died provides insight into understanding your family's unique tapestry. And it may lead you to discover new relatives across the world! 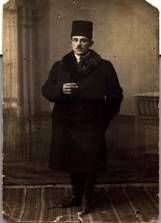 In person, Internet and telephone, Jewish Genealogy Search teaches you the art of genealogical investigation. Our support team is available to answer any questions you may encounter in performing your research. Unlock your family's history with our assistance. We'll be working with you every step of the way to explore and retrieve important data. Jewish Genealogy Search creates an individual work plan for each client, beginning with the information you have at hand and designed to meet the goals you set out. We then research sources in the USA, Canada, the UK and Eastern Europe including Ellis Island and Census records, Social Security, vital records, ship registries, Yad Vashem and cemeteries. For those who have discovered Israeli Submitters of Pages of Testimony from the Yad Vashem records, we can assist you in locating them or their descendents. Jewish Genealogy Search has successfully connected clients with previously unknown branches of their family, as well as helping to re-establish contact with others. In person, by internet and telephone, we can teach you to identify and utilize genealogical research sources and tools. We are available to answer your questions and provide support. Beyond coaching, Jewish Genealogy Search is prepared to carry out any complicated or specific research you may require. Birthdays, Bar/Bat Mitzvahs & other family celebrations are more special with an ancestor or descendant tree. We produce presentation-quality trees as gifts for family. Each report tells of your unique history and origins. Trees, reports and books are produced from information you provide or from our research. If you are planning a family reunion or get-together, we'll suggest ways to make it more meaningful. or phone to set up an initial complimentary session to discuss your goals. If we determine that Jewish Genealogy Search is prepared to accept this assignment, we will set up a work plan and an estimate of time and cost. Naturally, should we feel that your research goals are not within our scope, we'll endeavor to direct you to the proper genealogical professional.